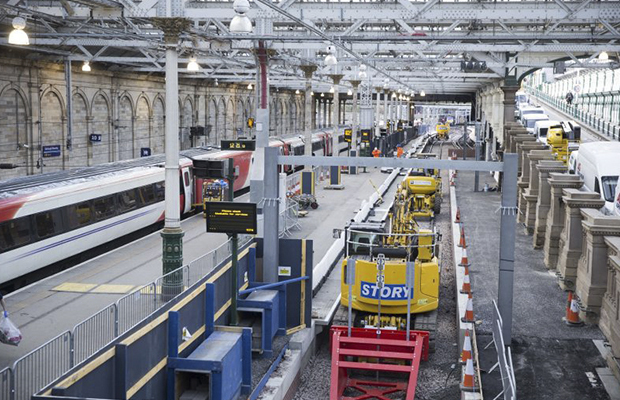 Story Contracting are delighted to announce they have been awarded the contract to deliver “Edinburgh Waverley Platform Works” on behalf of Network Rail. The project will involve platform extensions, building refurbishments, installation of walkways and escalators and associated work, in preparation for the new longer electric trains that will help transport some of the 30 million passengers each year that use Waverley Station. Story Contracting will manage this project in line with their normal operating and management procedures. This will involve Story Contracting’s full-time employees managing and working on site with, where needed, a select number of specialist subcontractors. In addition, we have been in discussion with former Carillion staff who are working on the scheme and Story are delighted that they have agreed to join our team as direct employees, bringing with them a wealth of experience and working knowledge of this prestigious project. Story Contracting continue to invest heavily in their workforce who we employ directly, and not through Umbrella companies, and our team on Waverley will ensure a smooth handover of the project. Story Contracting also have a full-time stakeholder manager who will ensure that station users, businesses and rail companies are kept up to date with the progress of the works and any changes they might experience in service whilst the works are taking place.